It is called unfortunate. As I reported here earlier, on september 18, there will be held an film premiere which Makigami and Sakaide are to perform. But the event coincides with another *three* Hikashu-related gigs in Tokyo. So everybody have to make a tough decision on the day. First, there will be an duo performance of Makigami Koichi and Shimizu Kazuto. It is a part of an event called Ftarri Doubtmusic Festival. As far as I know, as a duo, they have never performed together before, so it will be surely interesting. Fortunately, their appearance is scheduled around 15:30, so it's not the same time with the other gigs. On the same day, Sato Masaharu will perform as "Hari Usagi," a unit with Saga Yuki. Saga is a singer and improviser who performed at Jazz Art Sengawa this year. Hari Usagi, which means "spiny rabbit", is to play various kinds of music, from nursery rhyme to free-form improvisation. Last but not least, Inoyama Land will make a rare appearance on the day. They performed a 30 minutes set at the Hikashu concert last month and it was splendid. There are three units scheduled on the gig. The first appearance is a unit called "Highleads Missions." 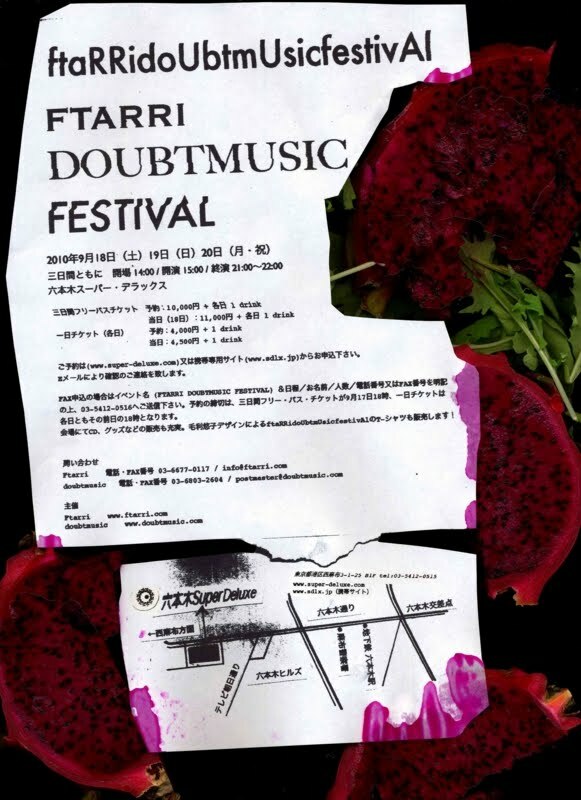 It is consisted with Inoue and a drummer, Tomoda Shingo, who was also a support member of Hikashu in 1983.
as a part of "Ftarri Doubtmusic Festival"
See here for festival details.